I have been using CSS sprites a lot lately and wanted a tool to generate them automatically, so I wrote a simple python tool (using the python imaging library) to generate a single image (at the moment it just creates a simple horizontal merge of the images). You can also set a fixed height (it will rescale every image to fit the height) using the "--fixed-height" argument and define the quality of the output image using the "--quality" argument. 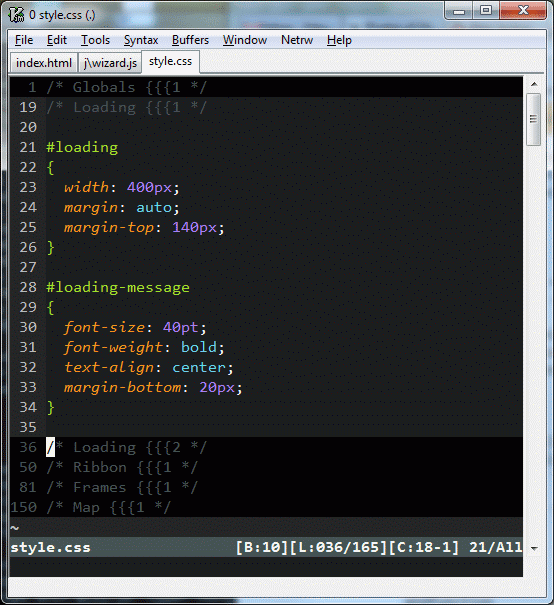 CSS files tend to grow very long, and even if you split them to smaller files, they are still not very easy to navigate. I'm using WampServer 2.1 (with PHP 5.3.4) on Windows 7 64-bit. This guide was made with the help of Itay Adler. Every once in a while I get this annoying problem where I can't a access my windows shares from other computers on the network, and the only way to get it it to work again is to restart windows. Right click "Server" and click restart. To force Mercurial to run your unit tests before each commit and not to allow committing unless the unit tests pass you can use the "precommit" hook. If you use TortoiseHg, then you can just open the settings page, and in the Extensions section enable "mq". Last month I started writing QTodoTxt, a PySide (Python Qt bindings) GUI for the todo.txt concept. It required weekly reboots because it would get sluggish. Hebrew support was less than standard, I needed to install a third-party keyboard, Hebrew text was aligned to the left and numbers in Hebrew sentences appeared backwards ("123" would appear as "321"). I couldn't use the Waze navigation application while playing music because the music would stutter. About a week ago I noticed the todotxt-touch android application which uses a simple text file to store tasks (see http://todotxt.com/) and uses Dropbox to synchronize the file between the mobile phone and other computers. I liked the idea of using a simple text file, but I couldn't find a good editor for this format so I decided to write one. Since I use both Linux and Windows I decided to use PySide (LGPL Qt bindings for Python). 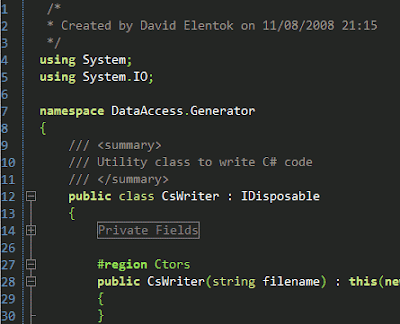 EDIT (July 4th 2011): I updated the URL again (here and also added the version with highlighting for .NET keywords. If I have some time I'll try to port it to SD4. I've been using SharpDevelop a lot in the past couple of weeks and I really like it, it's a hell of a lot lighter than Visual Studio and... it's open source! !